Showing results for tags 'vamp'. The finished lure after painting and epoxy. 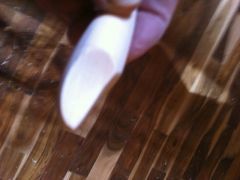 wrap a piece of cloth type sandpaper around a dowel, and smooth the two sides of the nose. 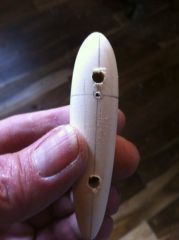 This is what the nose looks like after the rasp. 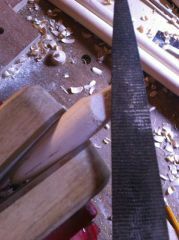 Another pic of using the rasp to smooth and final shape the nose. 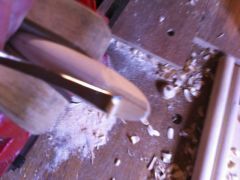 Using a rounded rasp (I use a Dragon file), lightly continue to shape and smooth the two sides of the nose. 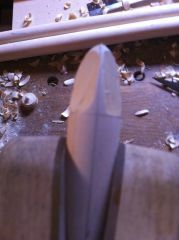 Profile view of carved nose. 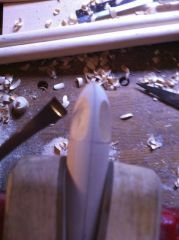 This is how the nose looks after carving. 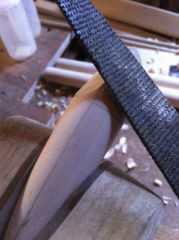 Now, using the bent skew chisel, continue working the two sides of the nose to the new top centerline. 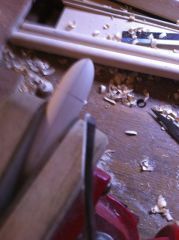 Redraw the top centerline along the new flat area just created in the last step. 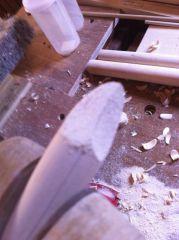 Using your chisel, carve right down the top line to start creating a curve nose. 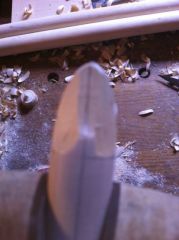 Continue carving until you achieve carved sides that meet the two lines that are 90 degrees away from the top line . 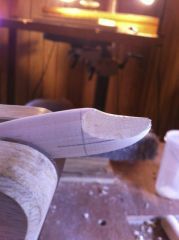 Using a bent skew carving chisel, start along the 1" line one either side of the top line and start removing material. Move from side to side to keep the two sides symmetrical. 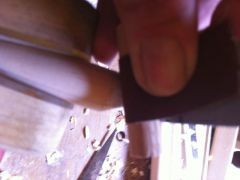 Runt blank inserted into soft jaw vise, ready for carving. view of the marked lines from the nose. 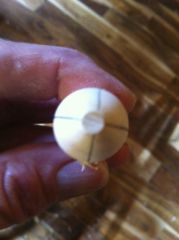 Drill hook eyelet hole at intersection of two lines on bottom of lure. 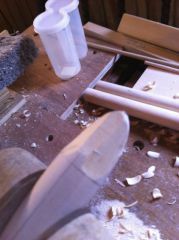 Drill weight holes if adding weights. 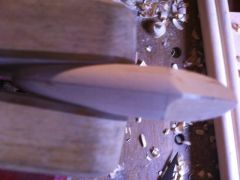 Marking a turned blank for a river runt nose. Mark line along lure every 90 degrees. Mark a line around the lure 1" from nose.